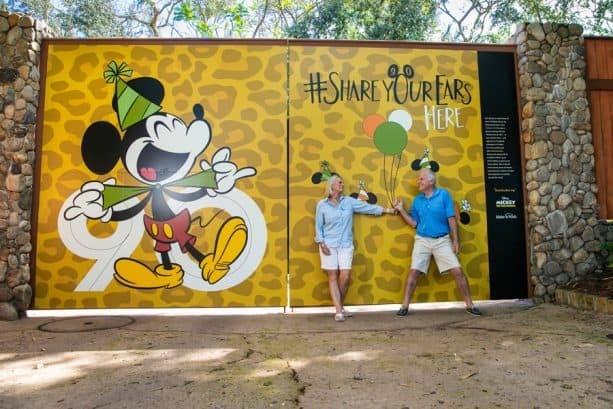 We previously announced the kickoff of this year’s #ShareYourEars campaign. 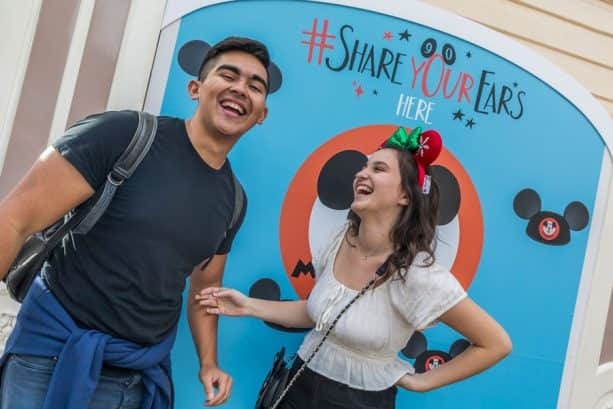 During this campaign, guests are encouraged to show off their “Mickey Mouse ears” in a photo and then upload to Facebook, Instagram or Twitter in a public post using the hashtag #ShareYourEars. 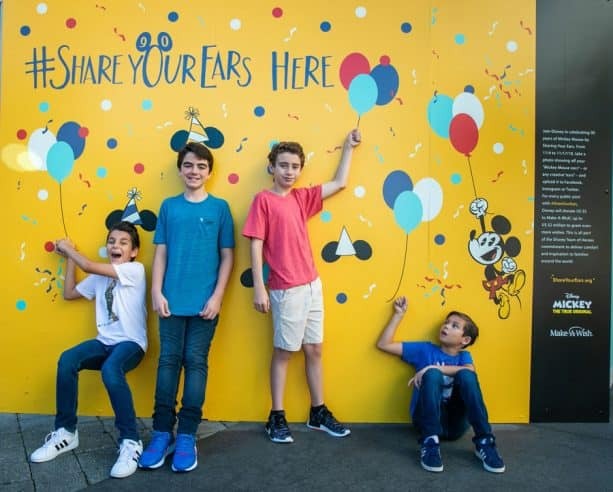 Disney will donate US $5 to Make-A-Wish, up to US $1 million – with a total goal of up to US $3M – for every public post that is shared! 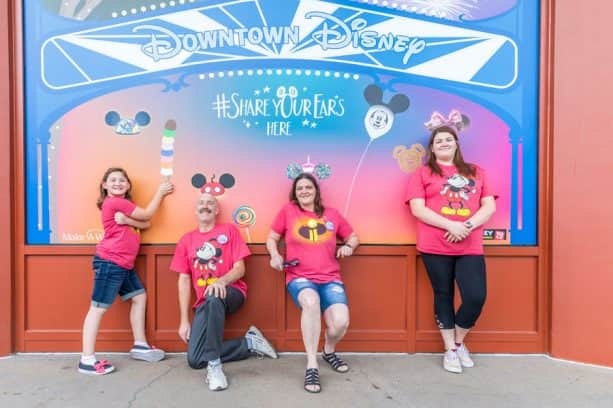 The campaign was extended to run through November 27th, 2018 so that guests can keep sharing pictures to raise funds for Make-A-Wish. 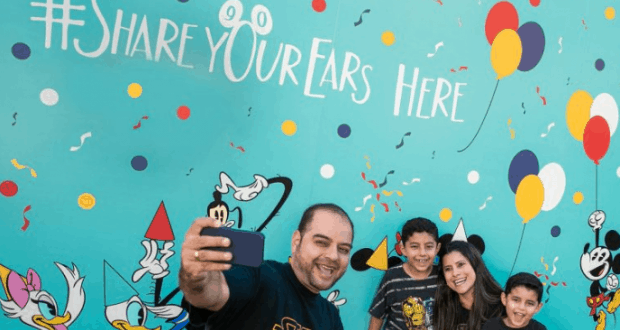 One great way for guests to share their pics is to take a picture in front of one of the Ear Walls that were made just for this campaign. We have a look at all of the great walls for you below across Walt Disney World Resort and other Disney Parks. Disneyland Park: Mickey Mouse Club-themed wall on Main Street, U.S.A. at Disneyland park. Disney California Adventure park: Featuring Grizzly Peak and Pixar Pal-A-Round, this wall can be found in Hollywood Land outside of Stage 12. 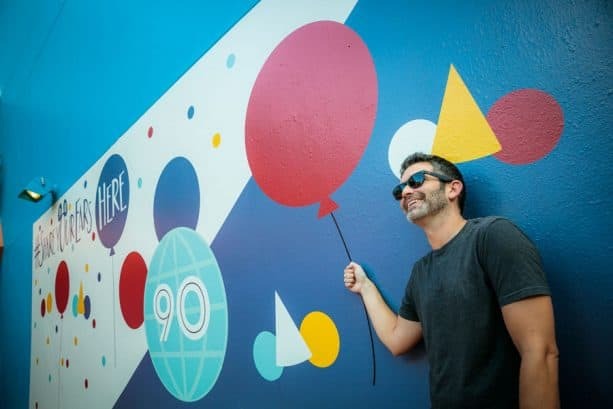 Downtown Disney District: Wall featuring classic Disney Parks treats. Magic Kingdom Park: Heading toward Tomorrowland from the Castle Hub, the wall features a giant Mickey Bar! Epcot: To the right as you approach the Imagination Pavilion from Future World, the wall is retro style and celebrates 90 years of Mickey. 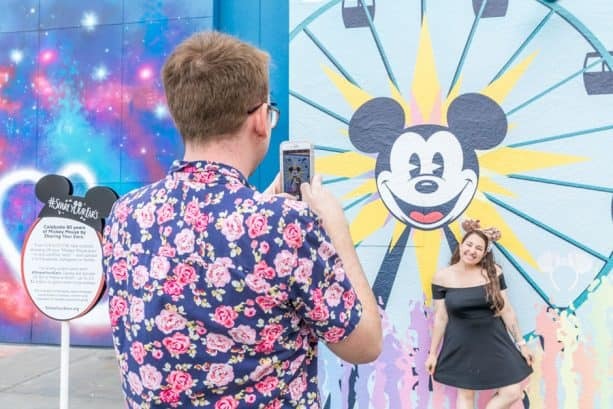 Disney’s Hollywood Studios: Mickey and his pals can be found on a wall just outside of the entrance to Toy Story Land. Disney’s Animal Kingdom: This wall is found across from Tiffins Restaurant and features Mickey with an animal print background. 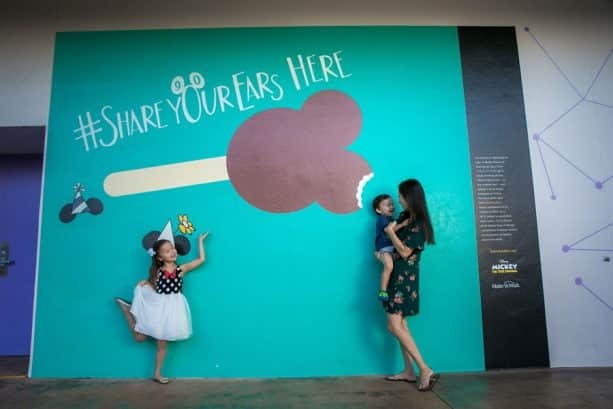 Disney Springs: Found in the West Side area, this wall lets you chEAR for Mickey Mouse. 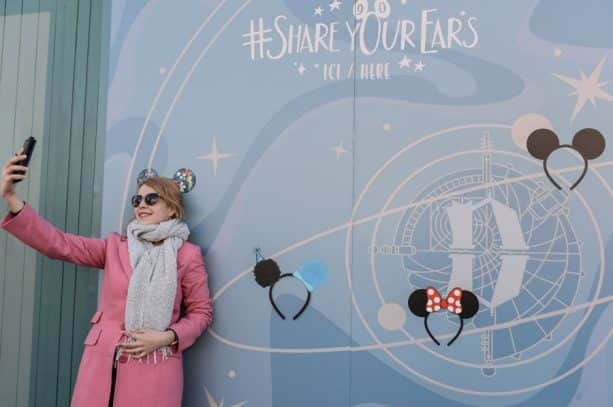 Disneyland Paris Park: Strike a pose with fanciful and futuristic walls near Blanche-Neige & les Sept Nains and Autopia! 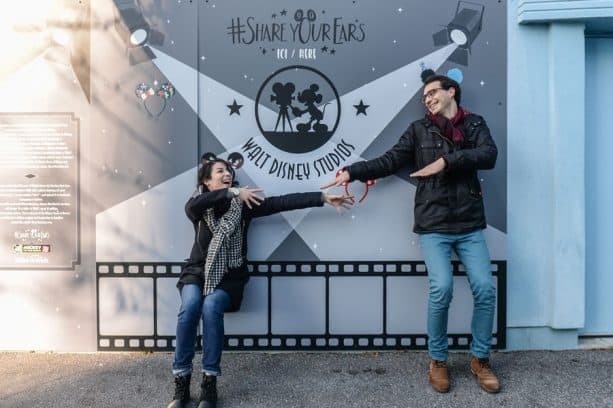 Walt Disney Studios Park: Find these magnifique walls outside the Art of Disney Animation building and in front of the Partners Statue. 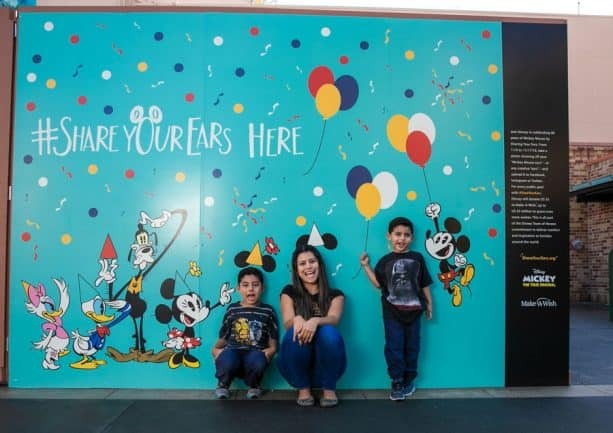 Who has seen the Ear Walls in person already?